Stylus is a revolutionary new language, providing an efficient, dynamic, and expressive way to generate CSS. Supporting both an indented syntax and regular CSS style. 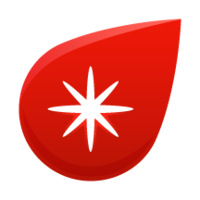 The compass core framework is a design-agnostic framework that provides common code that would otherwise be duplicated across other frameworks and extensions. Why do developers choose Stylus? Why do you like Stylus? Why do developers choose Compass? Why do you like Compass? 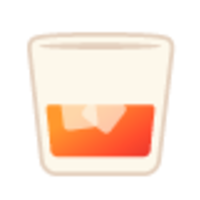 Why do developers choose Bourbon? Why do you like Bourbon? What are the cons of using Stylus? What are the cons of using Compass? What are the cons of using Bourbon? How much does Stylus cost? How much does Compass cost? How much does Bourbon cost? What tools integrate with Stylus? What tools integrate with Compass? What tools integrate with Bourbon? What are some alternatives to Stylus, Compass, and Bourbon? PurifyCSS - Remove unused CSS. Also works with single-page apps. One of the main reasons I use it is that it combines most of what I like but is spread across other preprocessors. The option to make functions that take places of properties is amazing. ie. border-radius: "child" $parent-radius can actually be calling a function like border-radius("child", $parent-radius) where using border-radius: 4px would just implement the standard expected result. Using Bourbon Neat for building a grid. It's easy to implement and is added to the CSS rather than the html which keeps similar modules looking the same. Sass library that was originally used on the current JourneyMaker app. We've been slowly removing it from the front end. [Free] We use this free Sass framework on just about any project that we work on. Replaced Foundation grid system with Bourbon Neat.